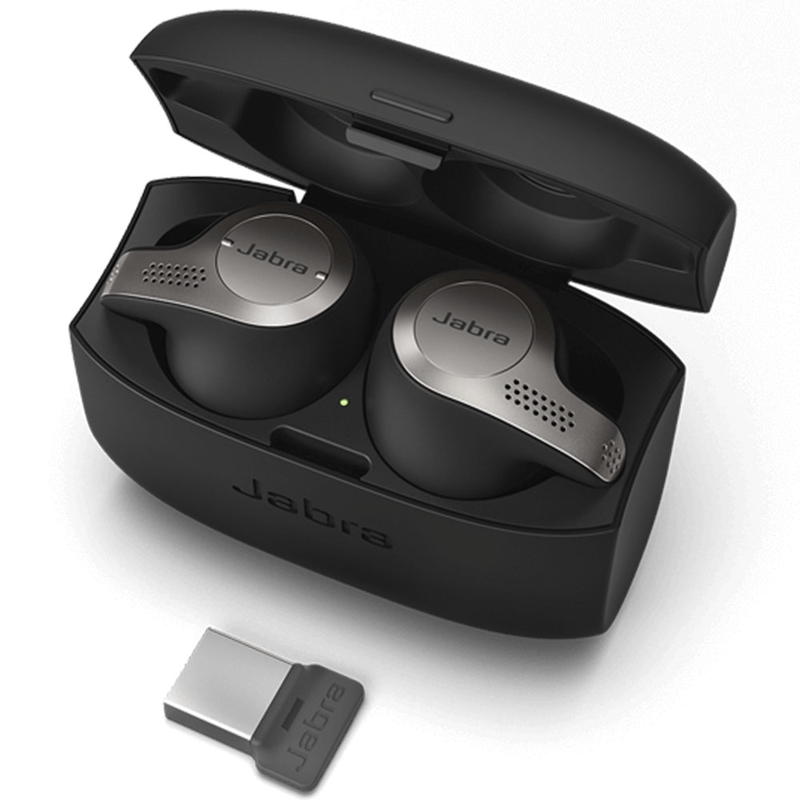 Jabra Evolve 65t are the first true wireless earbuds for use with business communications. Evolve 65t MS come certified for use with Skype for Business. This means you get a plug-and-play experience, including automatic selection and call controls. Evolve 65t provide incredible audio quality on calls with a 4-microphone design. 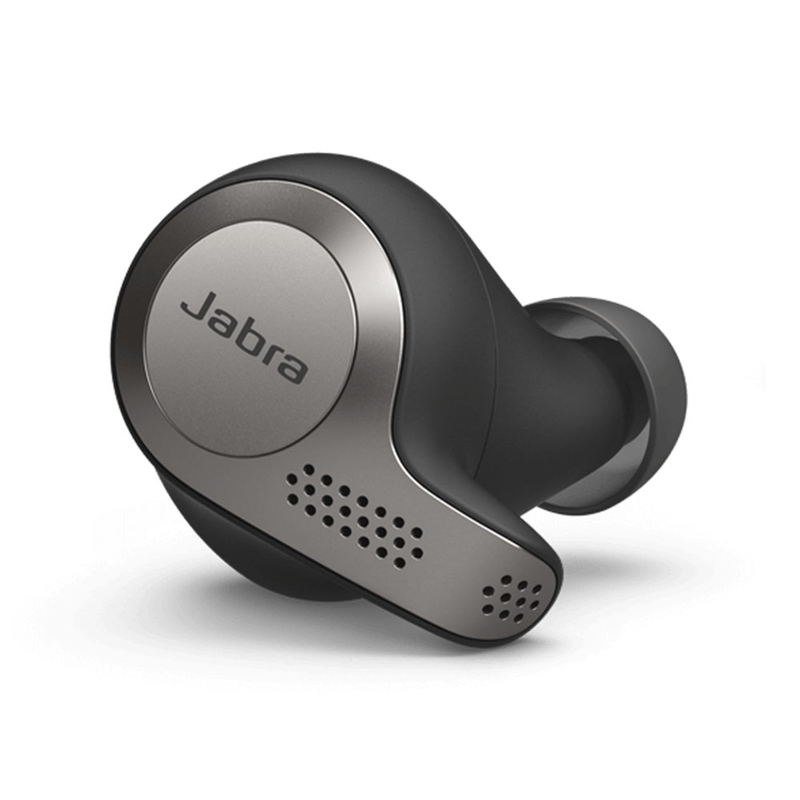 They provide ambient noise cancellation including wind noise protection. The earbuds provide fullband audio, fit for music, and they work beautifully for streaming from your Android or iOS smartphone. Using the Jabra Sound+ app, you even have a customizable equalizer. You can control calls and audio on the earbuds themselves, including one touch access to digital assistants like Siri and Google Assistant. If you want an ear free in the office, put the left earbud in the case, and you can use the right earbud by itself. 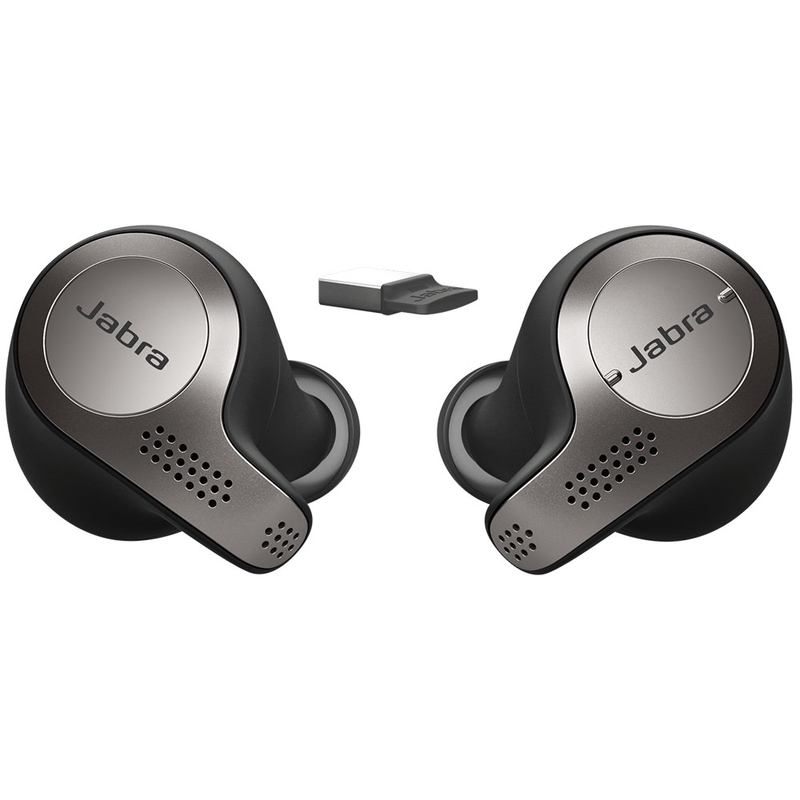 Jabra Evolve 65t connects using Bluetooth, and you can connect to two devices simultaneously. Jabra includes a Jabra Link 370 Bluetooth Adapter in the package, which plugs into a laptop or PC to enable connection with your earbuds. The adapter has a wireless range of up to 33ft. The earbuds come with a convenient case to let you recharge on the go. Using the case, you can have an incredible battery life of up to 15 hours. The package includes three sets of EarGels so you can fit the earbuds properly.